The name of my site comes from a novel I was writing a while back, but never finished. It was a magical steampunk adventure about a murderous priest who was battling Cthulu-like squid demons. I'm going to get back to it someday, but it's probably going to be a total rewrite. The story wound up too "comic book" and not enough "horror". It was a lot of fun, and I'm rather fond of the world I was building. And the characters, they were pretty great. Everybody except the main character was pretty much perfect. If I get him right, I'll have a much better book someday. When. When I get him right. What the Heck is a Cthulu? Cthulu, pronounced "kuh-thoo-loo" and more commonly rendered Cthulhu or sometimes Ktulu, was a tentacle-faced creation of horror novelist H.P. Lovecraft. Cthulu was one of the Great Old Ones, a race of madness-inducing giants who, if they were aware of humans at all, gave us about as much consideration as we do a paramecium. Their civilization-rending destructiveness wasn't so much because they were pissed-off as it was because they honestly didn't give a rip about those bipedal noisemakers down there. In Lovecraft's works, they spawned all kinds of crazy cults as deluded morons thought they could harness the Old Ones' power for themselves, or maybe just arrange to be eaten last when Cthulu finally awoke. Those Below, in the world of Raiusha, are Cthulu-like entities. Their radically different minds and cosmic power levels make them similar to gods of madness and wanton destruction, but they aren't evil, as such... just possessed of vast power and minds that are in every way alien. Thus, Cthulu and Friends won't be making any appearances in these stories, but with any luck I'll manage to channel some fraction of Lovecraft's awesomeness, and get across the horror of what these sort of beings would mean to the world. 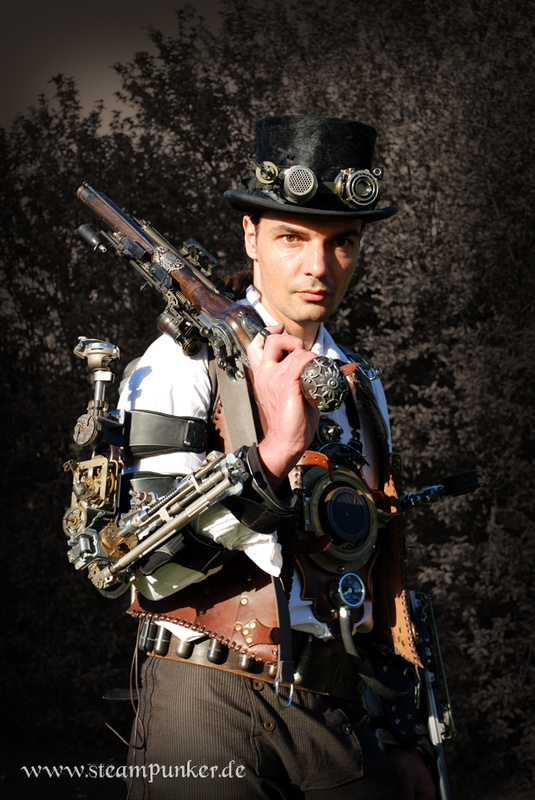 Think airships, Victorian-era costumes with crazy gadgets that are powered by steam - or some more exotic substance. Jules Verne meets Q Department. It's about adventure and swashbuckling and corsets. And goggles. You pretty much can't do it without goggles. Yeah, I mashed up steampunk and Lovecraftian horror and magic and got something pretty neat. I like writing stories where there are no bad guys. What happens when humans come into a survival-level conflict with creatures that evolved eons before them, and there just isn't enough room on the planet for the both of them? A priest, a scientist, an assassin, and a whore all take a trip together. Wackiness and the salvation of humankind ensues. Seriously, feel free to check it out.